After the handover of Nokia company to HMD Global, Nokia brings a surprise after one to another. They are producing a new smartphone as the name of Nokia’s old-model smartphones with an Android operating system. Already, Nokia smartphones have moved to the top list as well as on the top of the customer’s interest list. In the same way, they re-producing Nokia X5, which is a new version of their old X5-01. Type IPS LCD Capacitive Touchscreen Display, Supported 16M Colors & 287ppi Density. Protection Yes, with Corning Gorilla Glass, Scratch Resistant. Colors Available Glacier White, Mid-Night Black, Baltic Sea Blue. China: CNY 999 Yuan For 3/32 GB, CNY 1399 Yuan For 4/64 GB. 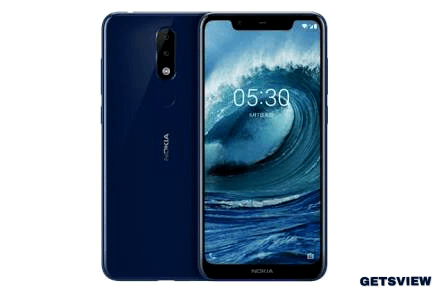 Nokia is the best brand for smartphones to try, the look of Nokia X5 seems to be good and elegant. quality wise I am very confident about Nokia as no other mobile brand can replace Nokia in terms of quality. I just hope the specifications are as mentioned in the blog. waiting for this smartphone to enter the market.